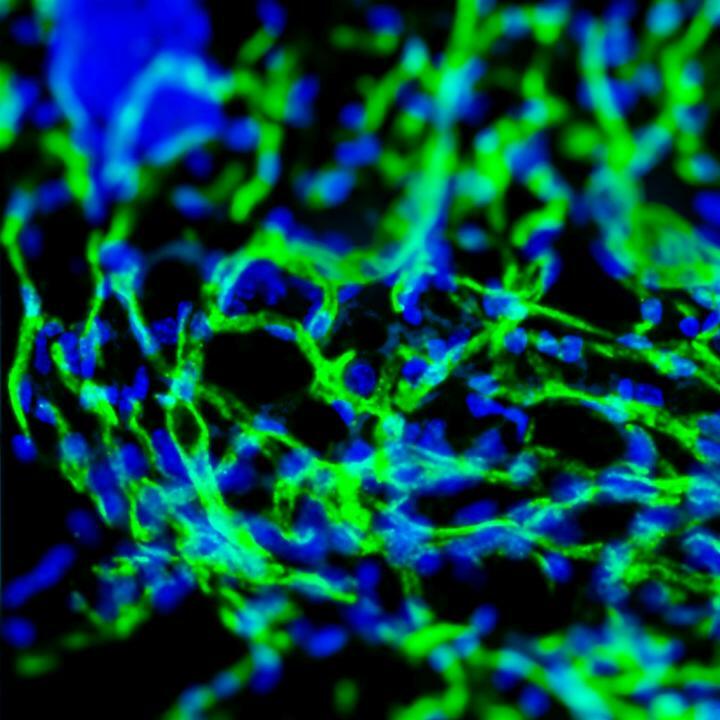 The cells that organize into blood vessels need support from other cells for stability and blood flow regulation. The Freiburg researchers and the biomedical scientists Dr. Roberto Gianni-Barrera and Dr. Andrea Banfi from the University of Basel discovered a new population of cells of the immune system that circulate in the blood, the CD11b+ monocytes that produce the protein Piezo-1. This is one of the so-called mechanoreceptors that are necessary for the interaction of cells in the central nervous system, as Shastri found out in an earlier study. The scientists were also able to clarify the role of the cell population of CD11b+ monocytes in the stabilization of newly formed blood vessels. On the basis of these results, they have developed a hydrogel which, due to its mechanical properties, is able to stimulate the CD11b+ monocytes to form piezo-1 so that new blood vessels develop at the desired site.